HAMILTON, ON, Nov. 21, 2018 /CNW/ - Radicle Medical Marijuana Inc., a licensed producer of craft cannabis since January 2018, announces today the acquisition of its sales licence for dried cannabis. This allows the organization to supply the medical and recreational market and on its way to completing its first purchase order with the Ontario Cannabis Store. "We're delighted to have obtained our sales licence from Health Canada," says Ziad Reda, CEO, Radicle/Gage. "This is a major milestone that caps off a yearlong licensing journey with the intention of becoming Canada's leader in the premium craft cannabis market. With this licence, along with the recent launch of our Gage brand, we'll be able to continue our journey toward developing and delivering premium craft cannabis products, grown in our hydroponic system." "We've assembled an inspiring and diverse group of professionals who are eager to help shape this new industry," continues Reda. "They're determined to lead our sector— both in terms of product quality and customer experience—and we couldn't be more proud." 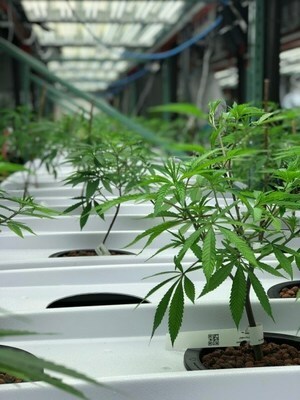 Operating in a state-of-the art facility with more than 40 employees and extending over 25,000 square feet, with immediate plans for expansion, the company is committed to taking the lead in the craft cannabis segment. For more information, visit gage.ca. Founded in Hamilton, Ontario in 2014, Radicle Medical Marijuana is a licensed Cannabis Company under the Cannabis Act. Radicle and Gage have a mission to become the leader in the craft cannabis segment with the highest standards in social responsibility and ethical business practices, and is a proud platinum member of the Ontario Living Wage Program. The company's world-class cannabis team produces premium indoor small-batch cannabis that is hydroponically grown. Radicle/Gage received its grower's license in January 2018 and is one of 26 original licensed producers that have entered into supply agreements with the Ontario Cannabis Store. Visit www.gage.ca for more information. SOURCE Radical Medical Marijuana Inc.